In a Nutshell: It’s no secret that investing successfully isn’t easy; if it were, you probably wouldn’t hear so many stories of people losing their shirts — along with everything else — to the stock market. Beyond simply knowing the ins and outs of investing, there are many micro and macroeconomic events that can affect your stock portfolio. Therefore, keeping abreast of important financial news and market events can be just as crucial for everyday investors as it is for professionals — and both take advantage of Benzinga to do it. Part of what makes Benzinga unique is their content is geared toward professionals and amateurs alike. 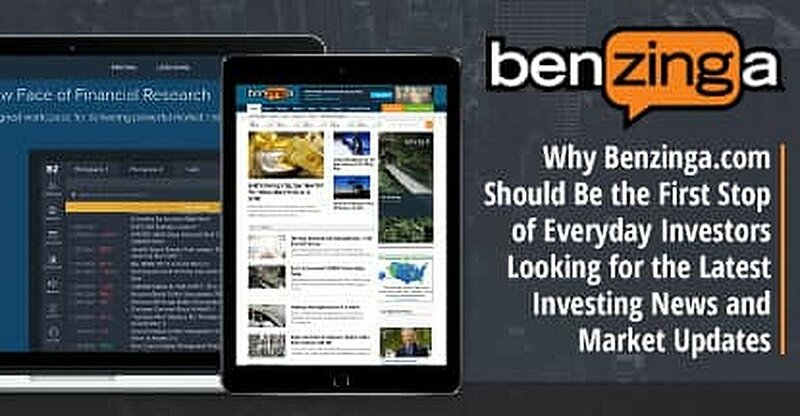 Benzinga.com articles, podcasts, and newsletters are specifically conceived and produced with main street retail investors in mind. And, for the professional or more advanced investor, there’s Benzinga Pro, a real-time newsfeed platform that offers breaking headlines, company data, and SEC filings. That breakdown helps Benzinga reach every type of trader and investor. Benzinga helps millions of users not just keep up with market developments, but actually understand them. Unfortunately, most seasoned professionals will agree that the stocks you invest in should be selected based on the stock’s performance — not brand loyalty (or deliciousness). You may shop a certain brand frequently, but if no one else is shopping there, that doesn’t bode well for the overall health of the company. Of course, even taking the time to do your research doesn’t necessarily ensure you’ll make the right choice. In some cases, stock market news can be so complicated that it’s hard to even understand it. This can be especially true with less popular industries, like biotechnology. 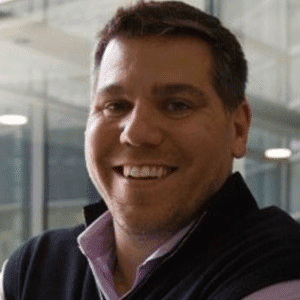 Anthony Laverde is the Head of Content for financial media site, Benzinga.com. Another common mistake related to insufficient research is overreaction to a change in the market. An example? After the 2016 election, the dry shipping market, represented by the Baltic Dry Index (BDI), saw a drastic increase. Specifically, the stock DRYS increased from $4 a share to $102 a share — in just six days. Benzinga’s newsdesk saw the move, and began pumping out headlines and stories to inform their readers about why it was happening and what to do about it. Without understanding why the stock was moving, a rookie retail investor would be likely to leap before they look, which can be a costly mistake. Both the timely response of Benzinga’s team to the moving market, and the clear, comprehensible information in the article, kept some readers from making a hasty stock buy — and likely saved a good deal of money in the process. With such a wide variety of websites offering round-the-clock investing news and information, it doesn’t take much effort to find yourself eyeball-deep in stock charts and profit statements. For the professional trader, that may be well and good, but the average investor isn’t generally going to appreciate the nuances found in the nitty-gritty data. Benzinga.com focuses on bridging that gap. Benzinga.com provides the latest investing news and market updates — free from unnecessary jargon — in an accessible format for the everyday investor. With that goal in mind, at the core of the Benzinga.com philosophy is a dedication to, well, making sense. Unlike some of its competition, Benzinga.com doesn’t get caught up in a lot of jargon and techno-babble; the site reports — and explains — the latest market developments in real words, for real people. “When we write stories, we write them for an audience who doesn’t necessarily understand the topic in depth,” said Laverde. “We try to maintain an educational slant to the writing, to really explain why this is important for the average investor.” To pull it off, the team at Benzinga relies on both seasoned journalists and financial services veterans, pooling their collective expertise to analyze both where the market is — and where it is likely to go. Once the team determines a topic of focus, the research begins. For those without the time — or inclination — to constantly keep up on the latest headlines and articles, Benzinga also offers another way to get your daily investing news: Benzinga’s popular morning podcast, PreMarket Prep. Of course, Benzinga doesn’t just serve the retail investor; for the professional trader who wants stock charts and technical jargon, there’s Benzinga Pro. The cloud-based, paid subscription service runs like Bloomberg’s terminal and is visually similar, utilizing the same four-window, dockable layout. The software offers many features that make it easy for professional traders to stay up-to-date on up-to-the-minute market changes, at a much cheaper price than its industry competitors. Benzinga Pro users can add their favorite stocks to a Watchlist and receive real-time price and news updates. From the Benzinga Pro workspace, users can see a comprehensive newsfeed with real-time streaming headlines. The feed can be completely customized and filtered, with options to narrow down headlines by category and source. You can even set the newsfeed to only show the latest breaking market news for the stocks on your personalized Watchlist, eliminating any potential clutter from your feed. The security tab of Benzinga Pro shows a detailed profile of every available stock, including a live-updating price chart and newsfeed. Along with streaming news, Benzinga Pro users can see real-time updates to their Watchlist of favorite stocks, including instant price changes and daily highs and lows. Additionally, clicking on any stock symbol throughout Pro will open a security window with a comprehensive company profile detailing everything from earnings and shareholders to company and industry averages. Over the last five years, the team at Benzinga has striven to produce content that is educational, yet engaging, for everyone. Benzinga Pro’s live-streaming newsfeeds and detailed stock profiles appeal to the seasoned investor. And, for everyone (like me) who, without a little guidance, would probably end up with a collection of stocks that says menu more than investment portfolio — there’s Benzinga.com.